LMS, which was acquired by Siemens in January 2013 and is now a business segment within Siemens PLM Software, launches version 10A of Test.Xpress is a no-compromise sound, vibration and durability analyzer. It combines the ease of use of a traditional analyzer with the high-speed performance and measurement quality of an advanced measurement system. The solution provides you with a range of vibration and acoustical ISO standards and includes an easy-to-use interface. 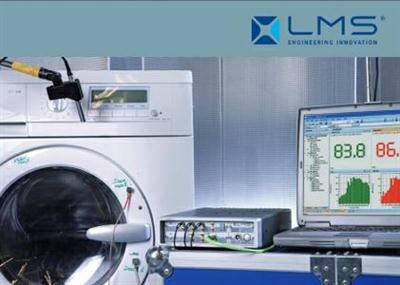 LMS Test.Xpress is a no-compromise sound, durability and vibration analyzer that combines the ease of use of a traditional analyzer with the high speed performance and measurement quality of an advanced measurement system. The noise analyzer software is an excellent solution for a wide range of vibration and acoustical ISO standards and includes an easy-to-use interface. The LMS Test.Xpress system is one of the most powerful analyzers of its class with up to 204.8 kHz sampling rate per channel, 24 bits resolution and 150 dB dynamic range - bundled in a fully rugged and ultra-portable frontend system. The software is easy to understand and provides optimal productivity for different types of tasks such as troubleshooting, verification work, mobile testing or qualification and certification testing. The analyzer software addresses all industry needs, from automotive manufacturing and white goods to machinery components and business electronics. The intuitive user interface is also available in multiple languages.